These presentation slides 47465 are complete compatible with Google Slides. Simple download PPTX and open the template in Google Slides. 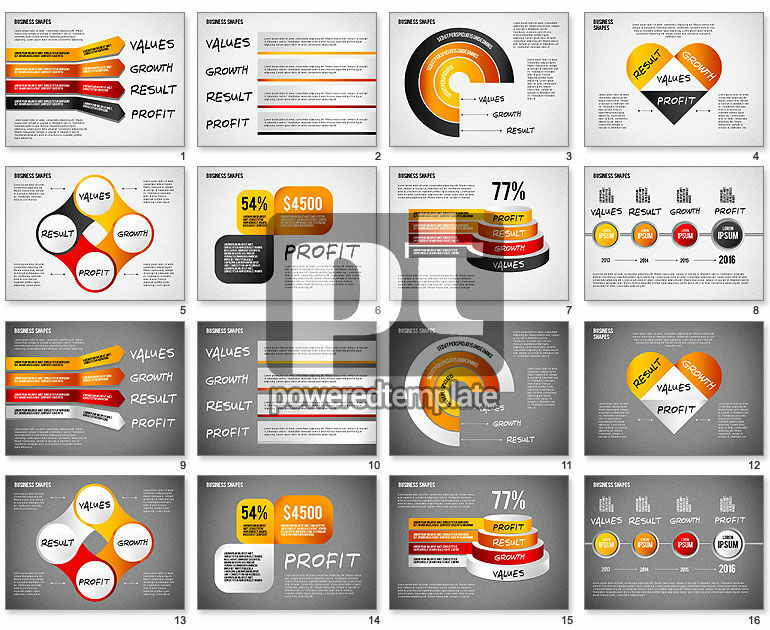 Enjoy this terrific stylish template which suits perfectly for visualizing values, growth, result, profit, development stages, business optimization, management, external service value and so on. Created in a cool yellow-orange-red palette with a help of various items, the sample is designed in two variations of the background. You can use it in any kind of business spheres, it is very convenient.